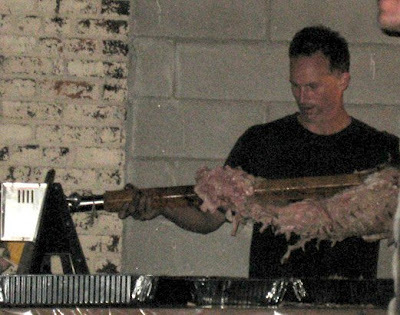 Matthew Barney hosted a pig roast/black metal concert at his studio in Long Island City, New York last weekend. 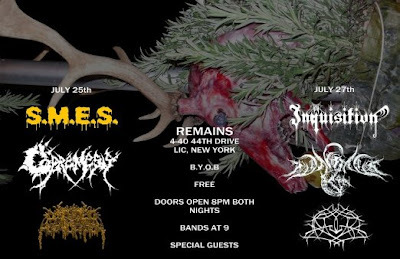 The free concerts, called Remains, included the bands Inquisition, Dagon, Krallice, Copremeis, and S.M.E.S. 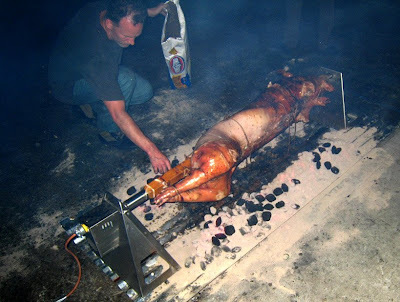 Barney, himself, was on hand to roast and carve the pig. 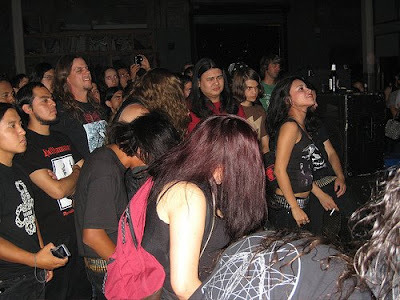 Thanks to Cremaster Fanatic Clemens for sending us a link to the photos. For more pics from the concert, check out Jae Saam Trio's Flickr page.